The ESRB hints that Square Enix is set to release a new selection of classic PS1 RPGs on the PlayStation Network. Square Enix has been kind enough to re-release the PlayStation entries of Final Fantasy VII, Final Fantasy VIII, and Final Fantasy IX on the North American PlayStation Network, but provided little evidence that it planned to bring the rest of its classic PS1 lineup to the service outside of Japan, until now. The ESRB website has revealed PSP and PS3 ratings for 4 Square RPGs that hopefully indicate their future release. The games include Threads of Fate, Legend of Mana, Xenogears, and Vagrant Story, all currently available only on the Japanese PSN, other than Vagrant Story which has been brought to Europe. Personally, I'd given up hope that Square would re-release any more of its PS1 library anywhere other than Japan, making these ratings quite the welcomed surprise. Threads of Fate is perhaps the least known title on the list. It's a neat action-RPG where players choose either a male or female lead, one with the ability to use magic and the other with the ability to change into monsters. The game's storyline is different depending on which character is chosen, though Threads of Fate is only truly completed by playing as both. Legend of Mana is the fourth game in Square's Mana series, Secret of Mana being the second, with the third having remained in Japan on the Super Famicom. It added many new elements to the action-RPG focus of earlier Mana titles, including a land customization system, sidekicks, and item creation. Similar to Secret of Mana, players still use various weapons to hack through cute enemies in the quest to protect the world's Mana. Yes, there are Rabites. The two most anticipated games are likely Xenogears and Vagrant Story. Xenogears' storyline deals with the relationship and conflict between humans and machines, following Fei Fong Wong and companions as they engage in battles by using magic and sometimes fighting inside of mechs called "Gears." Vagrant Story is a visually artistic title that follows Ashley Riot as he takes down a cult leader while proving his own innocence in the murder of a noble, and takes place in the world of Ivalice. 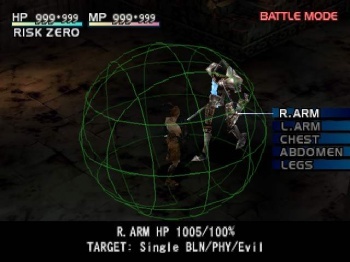 It incorporates puzzles, platforming, timing-based combat, and crafting all into one game, which can feel complicated at times, but Vagrant Story is still a classic. ESRB ratings don't necessarily prove that a game will be released on a platform, but these are a pretty strong bet. Square Enix recently released PS1 strategy-RPG Front Mission 3 on the PSN, and it probably doesn't plan to stop there. If enough people buy Square's PSN offerings, perhaps we'll get to see Parasite Eve, Parasite Eve 2, Einhander, or Brave Fencer Musashi too. And hey, why not Bushido Blade just for the hell of it.